The ECIU today launched our report, subtitled A Layman’s Guide to Affordable, Flexible, Clean Power, at a press conference in Westminster. This sets out how the UK can rely on a 50% share of intermittent wind and solar in its generation mix, using technology that is commercial today, and at no additional cost. 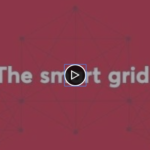 The analysis is based on our proprietary Smart Energy Asset Modelling Tool (SEAM-T). An expert panel consisting of Paul Massara, CEO of blockchain company Electron; James Heappey, MP; Catherine Mitchell, Professor of Energy Policy at Exeter University; and Hugo Chandler, NRP Director and co-founder, discussed the findings of the report. They agreed that there is no technology-based or economic reason why the UK should not rely on at least 50% wind and solar share of UK electricity, and concluded that the key task for government is to remove historical barriers to smart, flexible energy providers. These barriers are an unintended consequence of conventional power market design that persist despite some attempts by Ofgem and the government to modernise, and which are blocking private investment in new flexible power options. The analysis used the SEAM Tool to model highly conservative assumptions with regards to technology costs and assumed deployment of technologies such as battery energy storage and demand shifting. Central to the report is an analysis of where supply could come from in the face of a worst-case “lull” in the wind resource. To this end, NRP modelled a three-week, unbroken, total absence of the wind resource. This extremely unlikely circumstance was used to illustrate that a combination of demand shifting, imports, energy storage and a portfolio of gas roughly a third of the size of today’s would be sufficient to maintain supply. All Party Parliamentary Group for Rural Business chairman, James Heappey MP, said: “I think this is a very timely contribution because the new nuclear programme is, as far as I can tell, stalling. I don’t think that nearly as much as envisaged is going to be built, as is the case with the number of combined cycle gas (CCG) turbines.